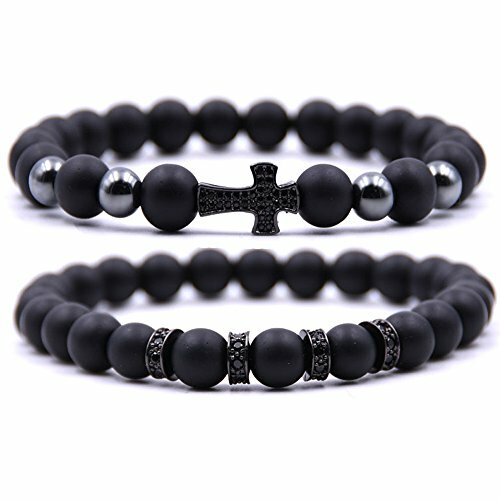 ❤Handmade Bracelet Jewelery❤8mm Black Matte Onyx Beads Bracelet,Comfortable to Wear,Suitable for Men and Women. ❤Ready for Gifts❤These beads bracelets set come with delicate velvet bag,Nice gift for birthday,anniversary or any special moments. ❤One Size Fit Most❤The bead bracelet inner length is about 7 inches and it is elastic.Fits Most of the Size.